Mark Johnson (Chula Vista) - Book Appointment Online! 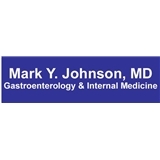 hank you for choosing Mark Johnson, M.D. Our practice offers comprehensive treatment for a variety of gastroenterological disorders as well as diseases of the liver, pancreas and gallbladder. We also advise you on preventive care such as screening tests for colon cancer.